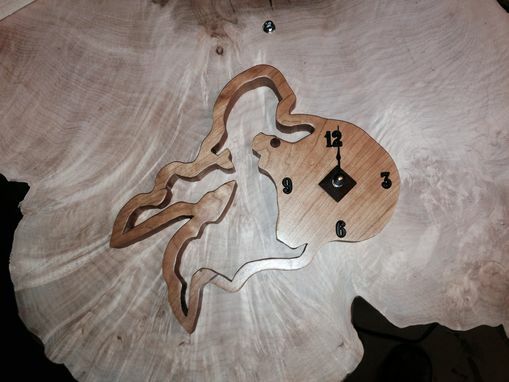 Custom Cherry Wooden Lake Clock. Different sizes, shapes can clock hardware is available. Feel free to contact me to discuss custom requirements and quotes. Kurt was very professional and easy to work with. He kept me updated on the status of the project at different phases and was quick to respond to any questions. The price was quite reasonable. I would certainly work with Kurt again on future projects.